Multi Function Calibrator is useful for calibration of Digital Multi meters, Clamp on Meters, Digital Panel Meters and Analog Panel Meters. It is basically a variable source with different ranges of DC Voltage, AC Voltage, DC Current, and AC Current. 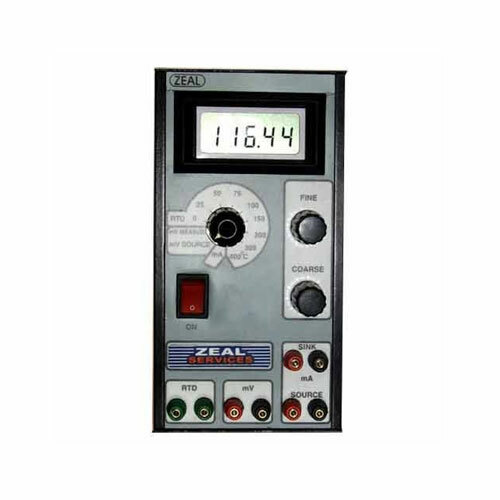 It has been designed to cover the calibration of maximum ranges of variety of models of Multimeters available in the market. First of it's kind of Multi Function Calibrator in Indian market manufactured by an Indian company, which meets expectations of calibration professionals for performance & reliability at economy. It is good to calibrate analog & digital multimeters, clampmeters and panel meters. This Multi Function Calibrator is of higher accuracy and resolution. 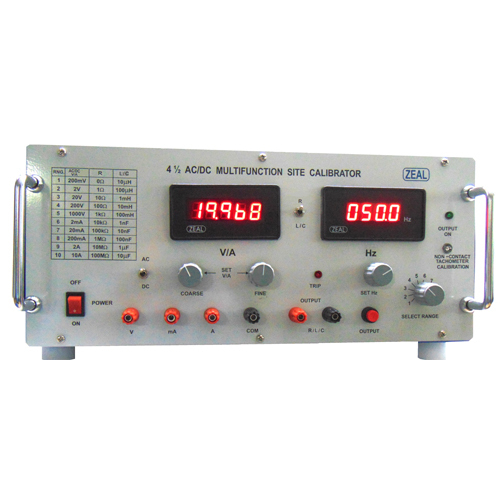 It is good tool to calibrate analog & digital multimeters, clampmeters and panel meters. 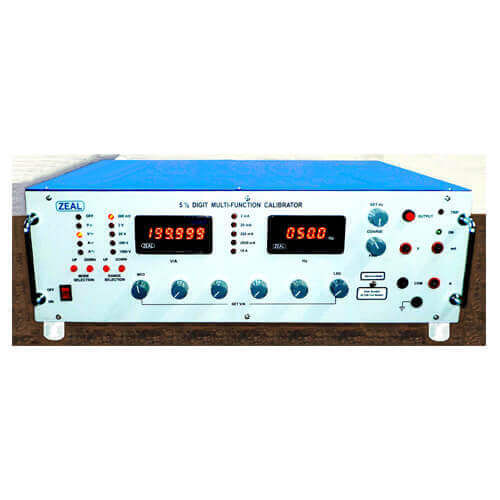 It is very popular choice to the calibration laboratories of all corners of India.